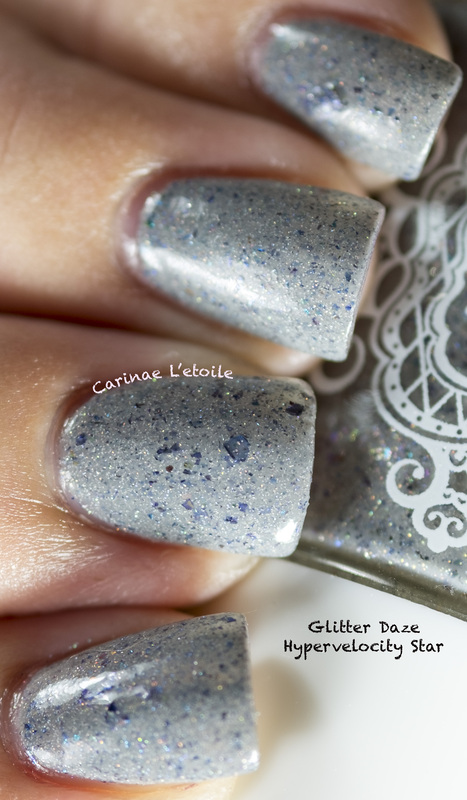 Glitter Daze Hypervelocity Star is part of their September 2015 Glitter Daze subscription box. The Glitter Daze subscription box is one you pay for each month and it is $15 per month. I was late to the party for this box and wish I had been able to get the box for August which featured Eta Carinae. Of course I wanted it, but I can’t find anyone willing to part with it. Le sigh. According to the piece of paper that came with the sub, Glitter Daze Hypervelocity Star is “a medium grey polish full of holographic shimmer, blue shaded chrome flakies, and copper/green shimmer. 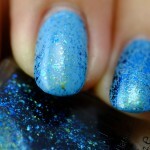 Apply 2-3 coats and a shiny topcoat.” The polish dried quickly for being a glitter. You know how some just really take forever? This didn’t. It was opaque in two coats. I’ve never really found a grey that I liked and this is one of those where I think I actually like the base a lot. 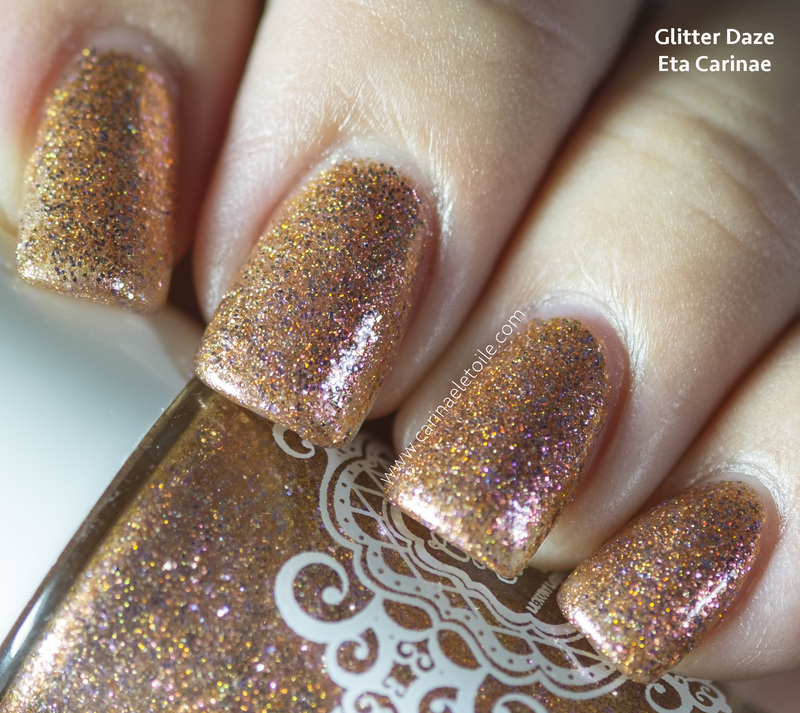 The glitter and holo just made this polish even prettier. I do think this is pretty, but my heart is still after Eta Carinae…if you happen to know of anyone selling, point them in my direction? It would be greatly appreciated. Light box shot. You can see all the separate glitters in it. Direct Light shot — you can see the holo glistening in this. 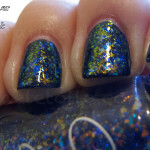 I’d say Glitter Daze Hypervelocity Star has more of a scattered holo than a linear one. While I’m a huge fan of linear holos, this one works exceedingly well. 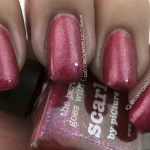 Do you feel like you’ve missed out on a great polish?